Now accepting housing applications for Fall 2019. Act fast, room selection is based on your deposit date. 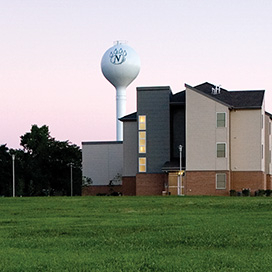 86% of Northwest students residing in an Academic Living Community continue to their sophomore year. That's well above the national average of 61%. 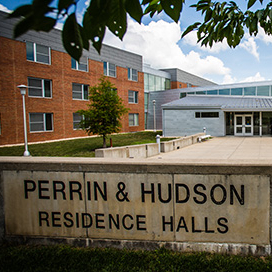 Hudson and Perrin Residence Halls are home to approximately one-third of our freshman class. 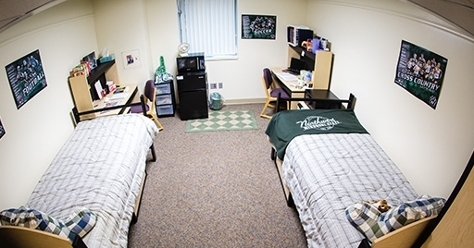 Their unique pod-sytle layouts include a bathroom that is shared by 10 students, free laundry facilities, lofts and portable furniture. The halls overlook a sand volleyball court and are close to student parking. New in fall 2018, the renovated Franken Hall offers private bathrooms on each floor, new lounge spaces and updated, movable furniture. 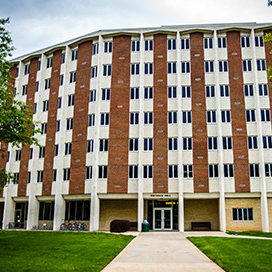 Northwest's high-rise residence halls are home to nearly 800 freshmen. Each building is a Freshman-Learning Center so there is a smaller staff-to-resident ratio and extra academic and computing assistance. The halls also have a kitchen, lounge area and recreation room and are conveniently located near The Station. 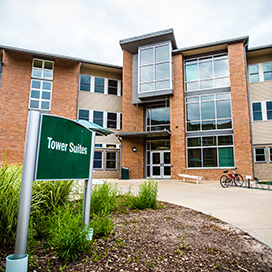 The Tower Suites provide upperclassmen with advanced housing options. The Suites offer two-person and four-person living arrangements, which include a private bathroom, main living space and bedrooms. Each floor features a kitchenette, laundry room, lounge and other amenities. Centrally located in the heart of campus, South Complex offers pod-style living with four or five rooms grouped with a private bathroom. 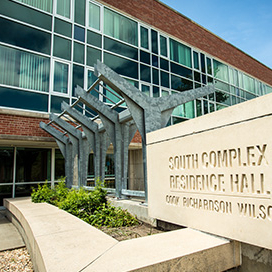 South Complex also houses Academic Living Communities for students to connect with first-year students enrolled in the same major. The Forest Village Apartments complex consists of three buildings and each apartment is designed to accommodate two-person or four-person configurations. The apartments are fully-furnished and contain a washer, dryer, refrigerator, dishwasher, garbage disposal, microwave, stove, cable TV and wireless internet. This is the perfect option for upperclassmen who want the convenience of living on campus and the independence of an apartment. Sorority women have the opportunity to live together. 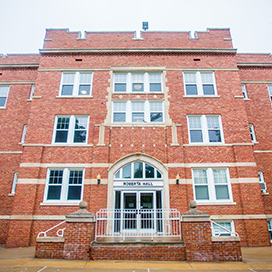 Roberta Hall is home to Alpha Delta Pi, Alpha Sigma Alpha, Phi Mu, Sigma Kappa and Sigma Sigma Sigma sororities. Each sorority is assigned a wing in the hall that they make their home with sorority specific information, symbols and mascots. 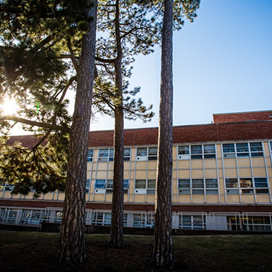 Cooperative Community housing will be offered as a pilot program by Northwest during the 2018-19 academic year. 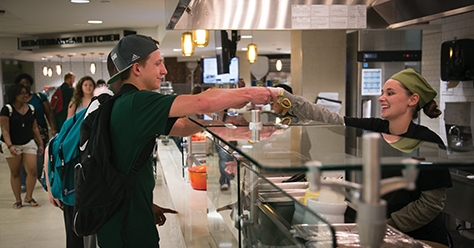 North Complex is a new low-cost housing and food plan option for students. 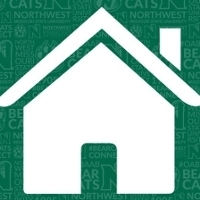 Northwest offers gender-neutral housing. 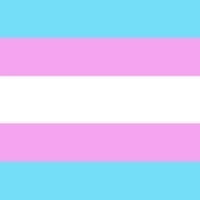 Any student who has gender or gender identity related concerns can speak with the Residential Life Specialist about housing options by phone or email. 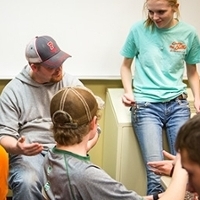 Bearcat Living Communities offer academic and social support for first-year students, cultivate community among the residents and provide activities that establish life-long friendships. The choice is yours! 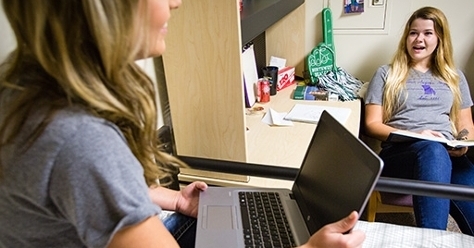 Northwest offers online services to self-select your roommate, residence hall and room. 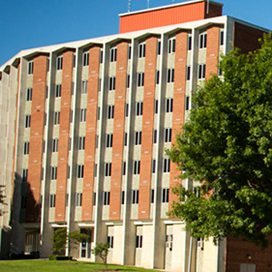 Dieterich hall will now feature a private room option for first-time freshmen. 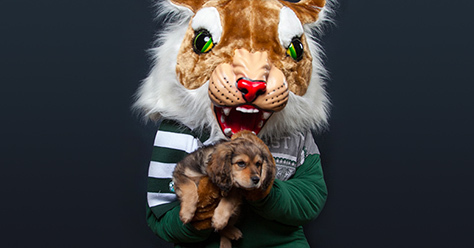 Students in Forest Village Apartments will have the privilege of having their dog or cat live with them. 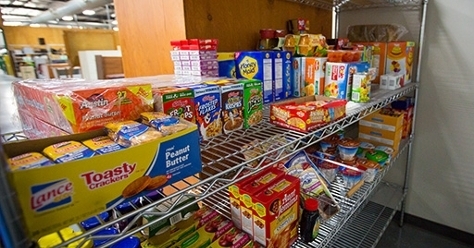 The Pay It Forward Food Pantry is stocked with food and personal care items, available at no cost to all students. 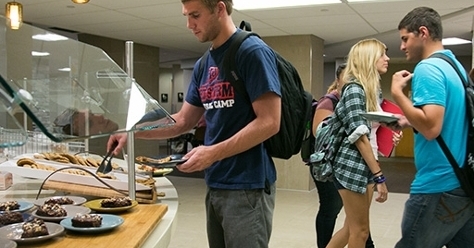 Whether you eat every meal on campus or just grab a bite now and then, you will love the value, variety and convenience of your meal plan. 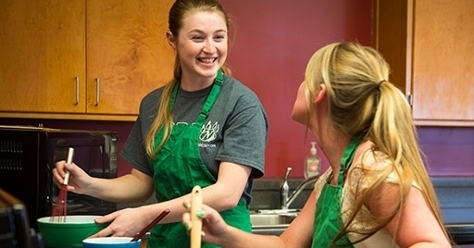 All residence halls have community kitchens or small kitchenettes for student use. 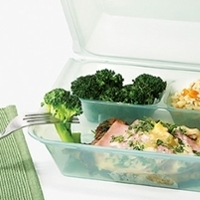 From purchasing local produce to reusable carry out containers, Northwest Campus Dining is passionately focused on reducing the environmental impact within our operations. All-you-care-to-eat restaurant includes Mediterranean kitchen, salad bar, hearth-baked pizza and zesty pasta dishes, All-American grill, Tex-Mex cuisine, Mongolian Grill and bakery. Need something quick for dinner? 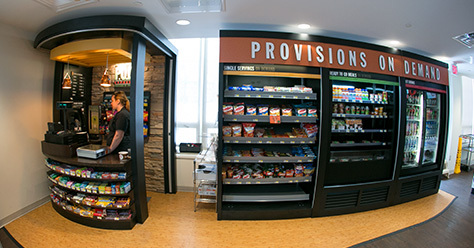 Visit the on-campus convenience markets or order pizza and have it delivered to your room.